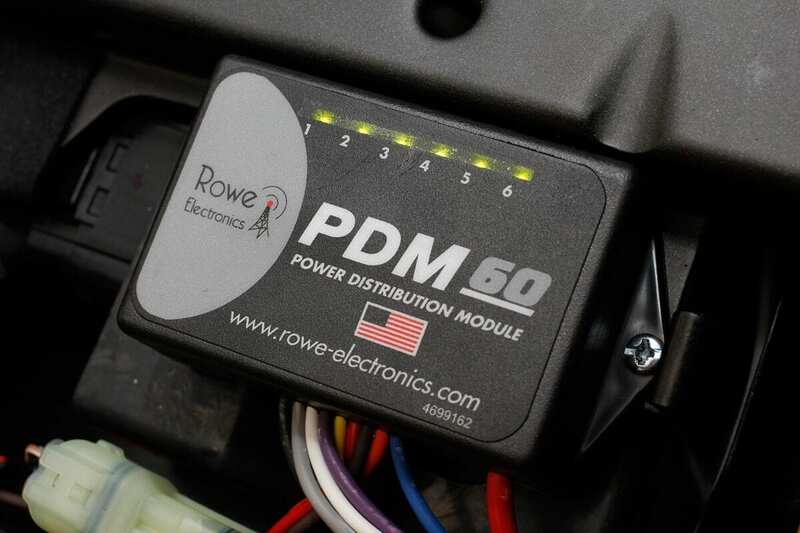 The Rowe Electronics PDM60 is a unique way to easily wire in, power and protect your bike’s valuable accessories. This fully sealed, waterproof Power Distribution Module eliminates the need for fuses, and can supply up to 60 Amps; far more than you’ll ever need on a bike, but it’s the way the system works that makes it so brilliant. 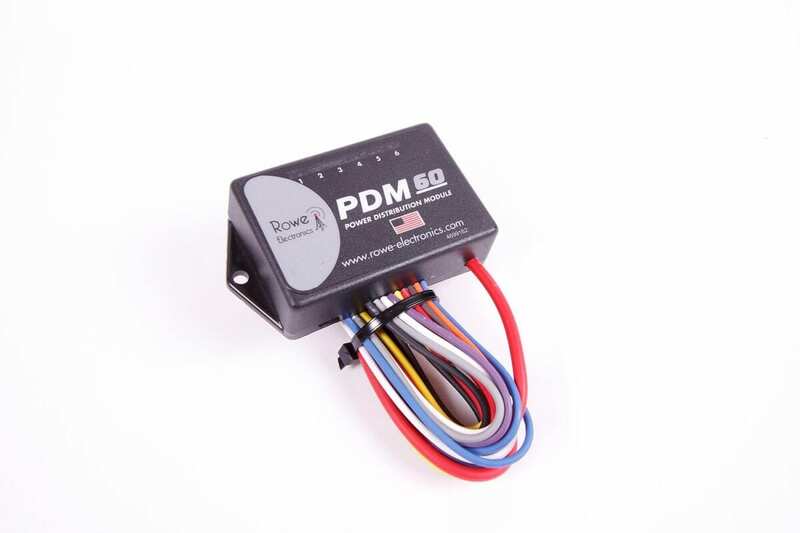 Originally designed for the ‘CAN bus’ electronic systems on today’s vehicles, the PDM60 uses a single trigger-wire – drawing less than one milliamp – to activate, so avoiding potential problems with the bike’s sensitive (and expensive) ECU. 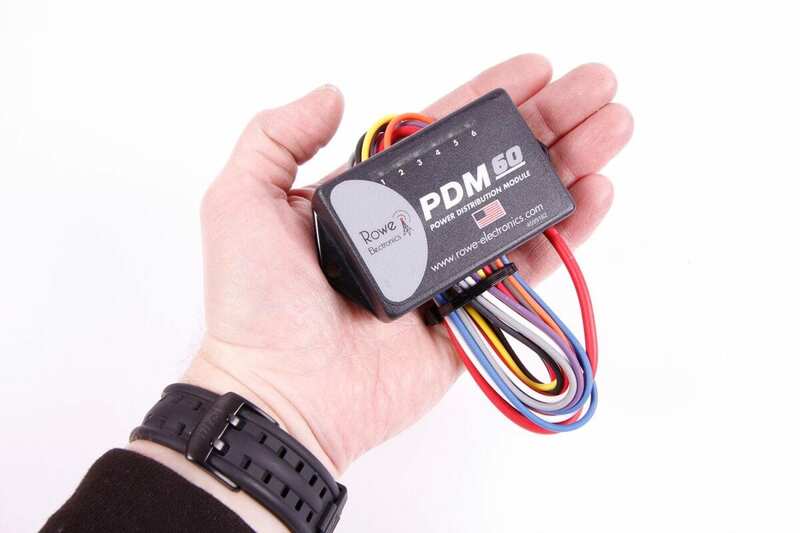 The £129.99 unit is easy to install (with all connectors and fixings supplied) and fully programmable, but the default settings are very well thought-out: as standard, none of the six circuits (or channels) will become live until seven seconds after triggering – that means that your heated clothing, GPS, auxiliary socket and more won’t turn on until after you’ve had a chance to start the engine, allowing all of your battery’s power to be pushed to the starter motor. Channels one and five have a current limit of 20A each, with two, three, four and six capable of offering up to 15A. Out of the box, you have two channels preset at 5A, two at 10A and two at 15A – ideal for most applications, but if it doesn’t suit you, just change it to suit your needs. Conveniently, if you don’t have access to a computer, but want to change some settings, you can even have it pre-programmed before delivery. Should there be any kind of fault that would normally blow a fuse, the individual channel will immediately shut down. When the unit is restarted, if the fault is still there an LED will glow red, telling you that no power is being allowed through that channel. 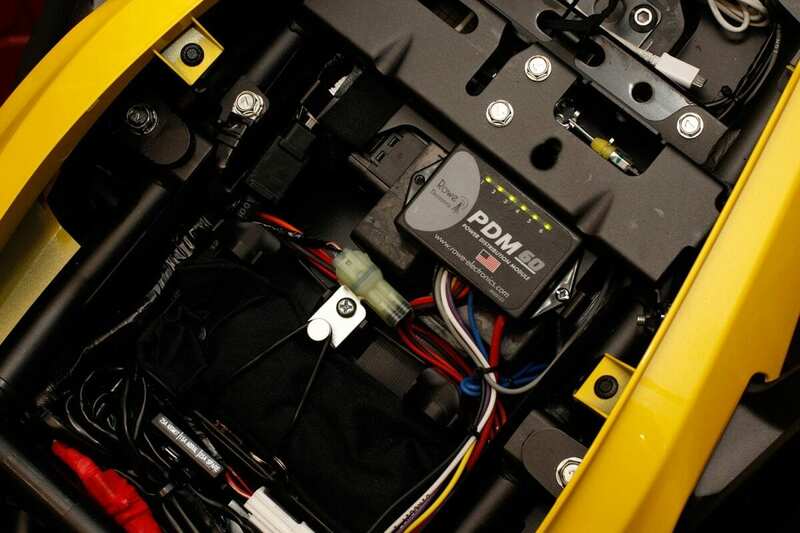 An orange light indicates a fault has occurred previously, which as any home bike mechanic will confirm, is very helpful for tracking intermittent problems in the bike’s wiring. Once a fault is cleared – whether it’s a fixed short or a faulty part, the LED will reset to green, and continue to work as normal. 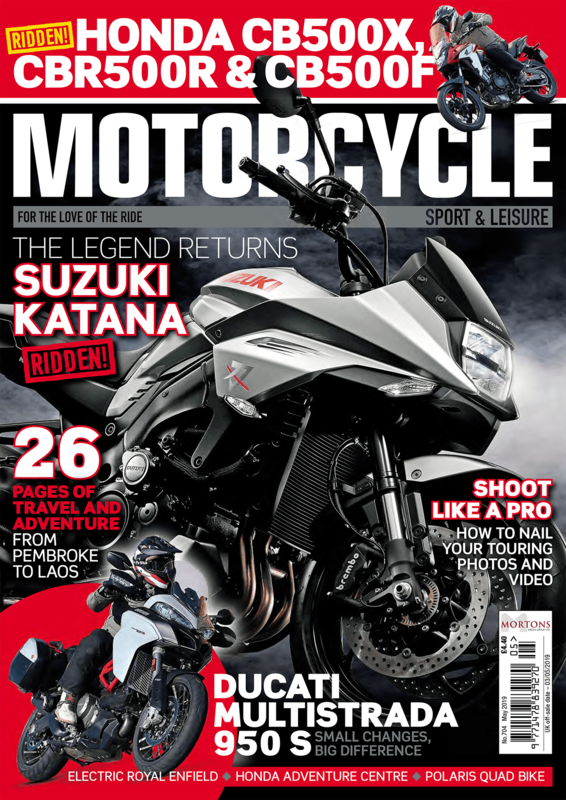 Besides the startup-timer, which can be set anywhere between zero and four minutes, each of the six channels can be programmed to turn off anywhere between zero (default) and ten minutes after the bike is turned off – perfect for GPS units, or even ‘guide me home’ lights.